All you need to get started is Mac OS X 10.6 or above, a webcam for video calls and a microphone. Download drivers if you are using an external webcam. 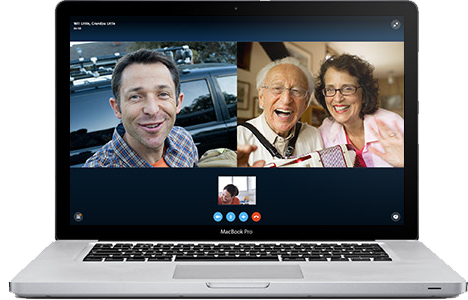 For group video calling everyone on the call needs Skype 5.0 for Windows or Mac or higher plus webcams. For best quality we recommend you use a high-speed broadband connection of 4Mbps down/512kbps up and a computer with a Core 2 Duo 1.8 GHz processor. As a minimum you’ll need a high-speed broad connection of 512kbps down/128kbps up and a computer with a 1 GHz processor.